Dentist Lufkin, TX │ Richard D. Byler, D.D.S. Dr. Byler and his staff offer a range of affordable dental services to help our patients achieve the smile they have always wanted. Whether you are missing a tooth, want dental veneers, need a dental filling or just a regular cleaning, we have the expertise and knowledge to help you. Our team provides a warm and welcoming environment for every patient. We take the time to discuss one-on-one with you about your dental options, and what would be best for your overall oral health. Dr. Byler graduated from Austin College in 1984 with a BA degree in biology. He then received his DDS degree from Baylor College of Dentistry in 1988. While at Baylor College of Dentistry he was a member of Omicron Kappa Upsilon and The Odontological Honor Society. Dr. Byler moved to Lufkin in 1990 with his wife Liz and three young sons, and started his private practice. He has been involved in many activities in Lufkin, including coaching his sons in little league sports of baseball and soccer. He and his wife are active members of First Baptist Church in Lufkin. Dr. Byler is a Fellow in the Academy of General Dentistry, and a member of the Texas Dental Association, Pineywoods Dental Study Club and East Texas Dental Society. 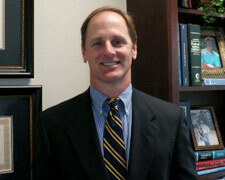 Dr. Byler was awarded his fellowship in the Academy of General Dentistry in 2006. He was voted Texas Super Dentist by Texas Monthly Magazine every year since 2008. Joyce is our dental hygienist. 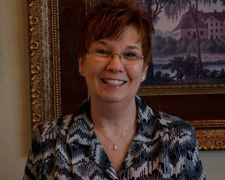 Joyce has been practicing with Dr. Byler for 24 years. Our patients appreciate Joyce's gentle touch and friendly attitude. Joyce enjoys outdoor activities such as running and cycling. Cindy is our front desk coordinator. She has been working with Dr. Byler for 18 years. 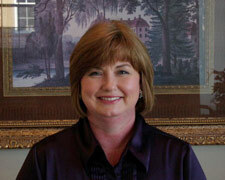 Cindy will take care of all of your insurance and scheduling needs. 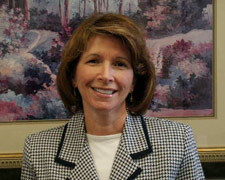 She will also go over your treatment options and answer any questions you might have concerning your treatment. She will always greet you with a smile. Cindy enjoys painting and refurbishing antique relics. Joyce is one of our assistants. She has been working with Dr. Byler for 14 years. Joyce has been working in dentistry for 30 plus years. She will assist Dr. Byler during your chair side treatment. She treats our patients like they are life long friends. Outside the office, Joyce enjoys the outdoors and traveling. Sonia is our newest staff member. 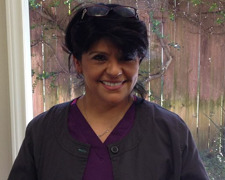 She has 20 years of experience as a chair side dental assistant. She is a great addition to our staff. She is bilingual and is great at translating english to spanish. Sonia is from the east Texas area and is married with three children. She enjoys running for exercise and spending time with her family.